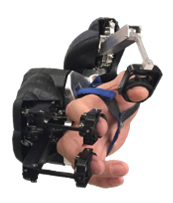 Virtuose TM 6D is a large haptic device with high forces and torques. 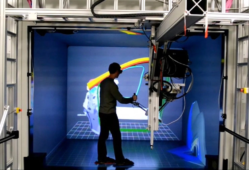 It offers force-feedback on all 6 degrees of freedom. 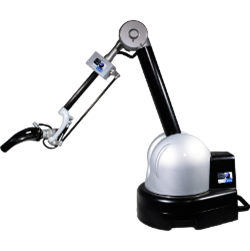 It includes passive weight – balancing, provides a tool changer and can be mounted upside – down. Virtuose TM 3D Desktop and Virtuose TM 6D Desktop are medium-size haptic devices with high transparency and stiffness. They also provide passive weight-balancing and a tool changer. HGlove TM is a hand haptics device, offering force-feedback on 3 fingers without restraining the movements. It can be mounted on a Virtuose or Scale1 to create the best interaction, or used with a tracking device. 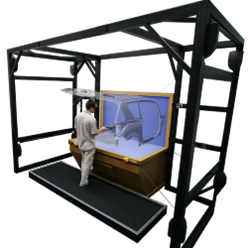 Scale1 TM is a crane-like system able to position a Virtuose 6D anywhere within the volume of a CAVE or an immersive room. It extends the working volume of the working volume of the haptic device in a transparent way. 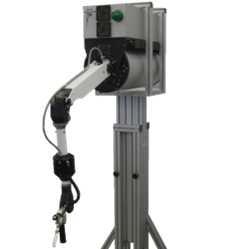 MAT TM is dedicated to nuclear telerobotic applications (master-slave). Its conception was realized in collaboration with experts to answer the very specific needs of the nuclear domain. 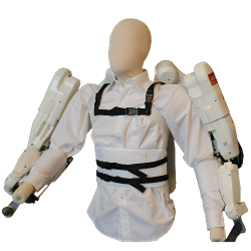 Able TM is the first exoskeleton haptic device with an industrial quality, available in three different versions. It is mainly used in medical and nuclear applications. Inca TM 6D is a cable-driven haptic device with a very large workspace, inspired by Prof Sato’s Spidar. 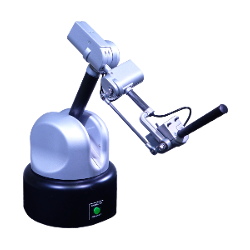 It is equipped with pre-tension springs and absolute position sensors and automatic calibration. It offers force-feedback on 6 degrees of freedom.